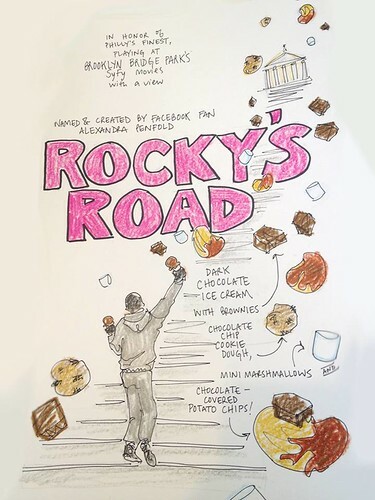 Blondie and Brownie: Bring Rocky's Road Back! My flavor, Rocky's Road, is my twisted take on Rocky Road ice cream. I'm a big fan of ice creams that are chock full of goodies, so this one has brownie chunks, chocolate chip cookie dough, mini marshmallows AND chocolate covered potato chips. This is the best chocolate ice cream you'll have in your life and if you're like me and love sweet/savory and ice cream that's loaded with goodies, you'll love this flavor. I get nothing out of this deal, except the opportunity to stock up like a crazy person. There's a lot of great flavors, so go VOTE! *illustration courtesy of Ample Hills' Facebook Page.